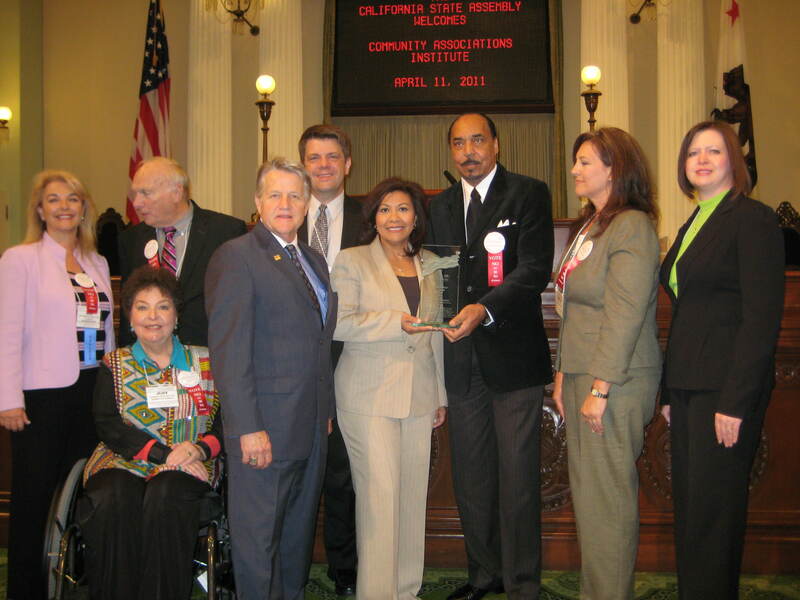 The California Legislative Action Committee of Community Associations Institute (CAI-CLAC) honored Assemblymember Norma J. Torres of the 61st Assembly District with their Legislator Of the Year Award for authoring two bills relating to county recording of foreclosures. The award was presented by CAI-CLAC members at the Capitol in Sacramento, California. The bills will assist homeowners associations (HOAs) in staying solvent as the associations will be able to sooner identify bank owners of foreclosed properties so that they can commence billing for assessments. Prior to these measures as many as 12 months could elapse before the bank was identified, adding to the association’s “bad debt,” line item in their budgets. Assemblymember Torres was honored during CAI-CLAC’s Legislative Day where members and delegates meet in Sacramento each year to discuss legislation that is important to their members and to meet with legislators and their staffs.